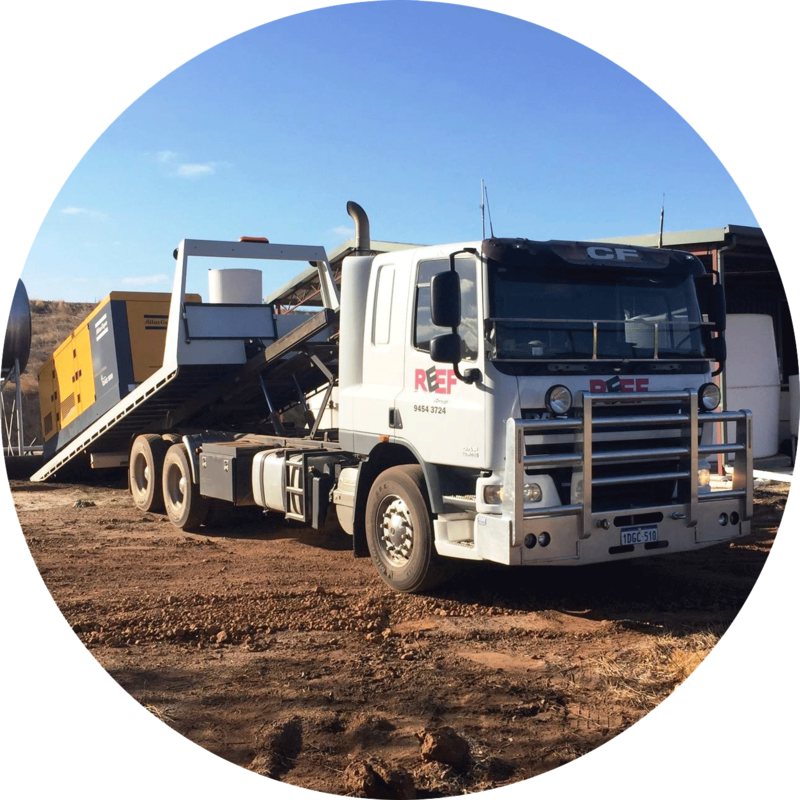 Reef Group, a leading transport company based in Perth and providing logistics and transportation services to clients nationwide, provides low loader and drop deck transportation services defined by our organisation’s commitment to professionalism, reliability and safety. An experienced transport company with over 15 years’ experience in the industry, we’ve developed an excellent reputation among our local and interstate clients for delivering cost-effective and dependable services that meet our clients’ ongoing and evolving transportation requirements. 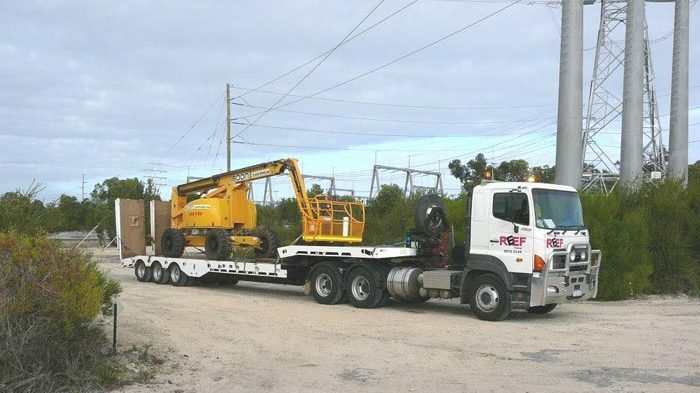 Delivering the most reliable low loader transport in Perth, Reef Group’s low loaders/drop decks are ideal for transporting a range of access equipment and machinery to local and interstate worksites. Capable of transporting massive loads of up to 24t in weight, our feature-packed trucks boast two decks – a 3.8m top deck and a 9.8m bottom deck – with all the low loaders/drop decks in our fleet equipped with container twist locks to enable us to safely transport 20ft and 40ft shipping containers and containerized equipment (including containerized generators). And in keeping with our emphasis on safety, reliability and professionalism, our low loader fleet is extremely well-maintained, with all our qualified and licensed drivers receiving the most up-to-date training to ensure the highest standards. Why Choose Low Loader Transport? 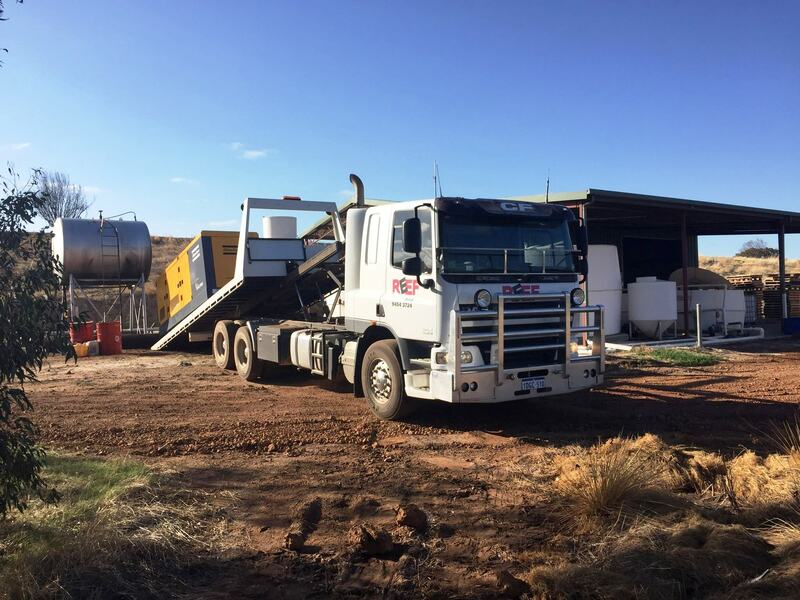 Additionally, another notable advantage to using our low loader transport for Perth and interstate clients is their ease of manoeuvrability, a critically important aspect of transporting heavy machinery around inner-city areas and on work and construction sites that are often littered with obstacles. 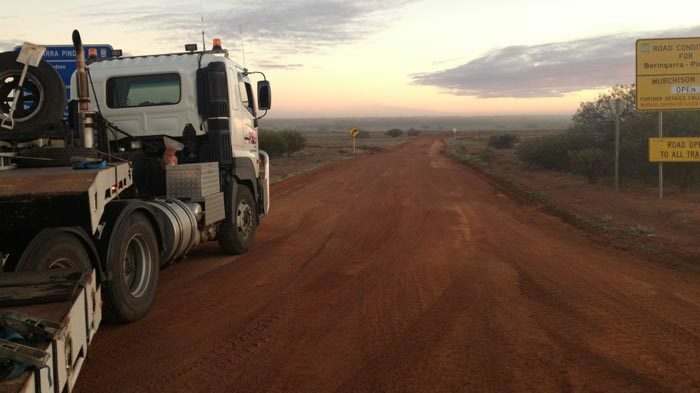 As accidents on work sites are often caused by heavy trucks and machinery that are too cumbersome and unwieldy to navigate tight roads and narrow areas in which equipment and machinery is loaded/unloaded, hiring low loader trucks from Reef Group empowers you to make your worksite a safer place for the benefit of all. Is Reef Group the Perfect Transport Company? As we’ve been in the transportation industry since 2002 and have a specialist team with more than 40 years’ combined industry experience, few local transport companies can match Reef Group for our industry knowledge, experience and the specialist advice we provide. However, there’s so much more to what we do than the provision of safe, reliable and professional transport services at the most cost-effective rates, we work closely with our clients to ensure we’re always able to meet their transport requirements. To achieve this, we monitor our clients’ needs, ensuring there’s never a lag in service provision and taking the required actions to ensure consistent, reliable services, whether that’s using trustworthy subcontractors or purchasing more equipment. Reef Group prides itself on the excellent customer service we extend to all our clients, so if you need further information about our low loader/drop deck trucks, what they can transport, where they can be loaded/unloaded, or obtain a competitive quote, please don’t hesitate to contact us. send us an email – service@reefgroup.net.au – or call us on (08) 9454 3725.